I recently shared my thoughts on Google+ (Google’s recent foray into social networking — let me know if you need an invite — after the public failure of Google Wave and Buzz). They’ve got to get it right this time (and frankly I think they nailed some of the subtleties that they didn’t in their past avatars). That said, there’s just something about Google+ that doesn’t seem right and — that’s got to do with its relationship model. Google Plus is a curious amalgam of Facebook and Twitter but more interestingly this is the same model that Friendfeed pioneered (with far slicker tools: “like” and “real-time feed” anyone). Why is that a problem you ask. Let me first explain the two different types of social networking models. Traditional social networks (like Facebook, LinkedIn, etc.) have a symmetric connection model — mutual connections mark the relationship. Twitter on the other hand (an information network if you will), followed the subscription model where you follow users (much like Ev and Biz’s first hit – Blogger.com, which Google later bought). To the best of my knowledge, here’s the best description of the two models — hat tip to Joshua Porter (Bokardo), who did a terrific piece explaining these two social networking models. Highly recommended reading. [Update]: Ben Parr just tweeted with his more recent piece, on Information networks. Here it is. Extrapolating, it’s basically any community that’s based on the information ties that you have (Twitter, Quora is a great example / follower model) vs. ones that are predicated on social ties (Facebook, LinkedIn / mutual connections). Now, Friendfeed (later bought by Facebook – oh, what an intricate social web we weave), came out with a hybrid model which allows you to have both friends (subscribers) and followers. Oddly enough followers could pop up into your conversations as well. So, rather than being the best of both worlds, what you end up with is the worst of both worlds. Initially, there’s an incentive to build your REAL social network (a la Facebook) that Google+ is trying to foster with Circles, but at the same time they pollute that atmosphere with the follower model, where people you don’t know jump in with comments that you don’t feel like responding to. That was the problem Friendfeed faced and that’ll be the problem that Google+ will inevitably encounter. Secondly, Circles or Friend-lists are not scalable (though Google+ has perfected the art of persistent engagement to get users to bucket them – nicely done). What this means is that Google+ will gravitate toward the asymmetric or hybrid model (as it already has, wherein your stream will be sprinkled with random comments from people you don’t know). As I said in my Quora post, Facebook has nothing to fear from Google+. They both operate under completely different models. While Facebook is focused on building real relationships and has assiduously built an environment that reminds me of “Cheers” (see below), Google+ is slowly morphing into Friendfeed. Now, granted the asymmetric model gains traction and followers fast, the question remains: is it sustainable? Time will tell. I won’t bet against Google given their enormous muscle and their ability to weave Plus into every Google interaction you have. But, I don’t think in its current state, Google+ will draw me away from my real home on Facebook. What are your initial impressions of Google+? Leave a comment or @mariosundar. Hey Mario, excellent analysis of Google+ so far here and Quora. In the beginning, Facebook really didn’t seem that bad at managing data. It wasn’t until Facebook transitioned to exposing user data that once had limited reach, that users became irritated. 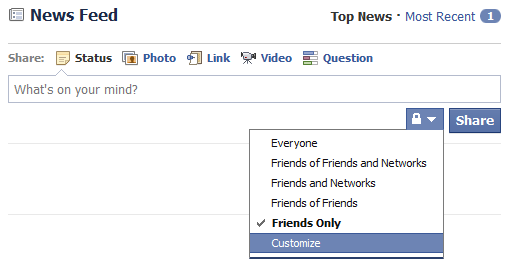 I don’t have anything to prove anything, but I postulate if it weren’t for these changes (especially publicising location data with group pages and likes), along with the evolution of social network gaming, despite 300 million users, Facebook would not have gone cash flow positive in September 2009. I do observe everyone uses Facebook and Twitter in different ways, so it is not easy to draw a clear information network vs. social network distinction. If you examine the details even asymmetric vs. symmetric relations are not very clear. You could have a 1-1 symmetric relation to someone on Facebook when you first friend each other, but from that point on the relation is liable to decay over time. Any set of circumstances could cause you to pay more or less attention to each other. 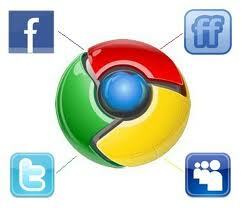 Google+’s implementation of the hybrid model will be interesting to watch. There is no certainty to how it will play out. In my opinion they took the wraps off Plus a bit too early. It is definitely a snappy and aesthetically refined product, and features like Hangout are exceptionally fun to use, but it still is in “beta”. There are bugs. Some functions need tweaking. For example, changing your name in your profile doesn’t update your name in your posts, there is no API, it is not an information network in the way we know Twitter because you cannot search through the content stream, there is no way to change the visibility of content after its posted (e.g. public>extended circles>specific circle or in reverse) Though, I can see cases where the reverse is abused, making supposedly private information public without consent (Facebook style). You made a great point on Quora about the limitations of the circle model. Even if Facebook makes Limited Profiles easier to use, strategically placing every person in my network is still time consuming and adds another layer of complexity. What I end up doing is not sharing private info at all. Ideally people will use the best medium for their message. At the moment e-mail and telephone are among the most private channels, the most direct, and the most dominant (R.I.P. Wave). Social networks are in their own category and have uniquely different purposes. I don’t think a service that converges everything together on one page will be successful- too little signal, too much noise. That’s just my take on it though, for what its worth. Hey Mario, regarding the issues with Google+ circles, I came to a realisation this afternoon. Circles are no more private or scalable than lists in conventional channels (think group lists in e-mail). Management difficulty increases with the greater number of people in them. Google+ is good but why limit the users, they can just easily release it full blown… Perhaps they’re not yet confident enough for this.